In NM a lot of folks have alpacas, so alpaca fiber is not hard to get and the prices are reasonable. I am currently watching the DVD on spinning Camelid fiber, alpaca falls into this category. Some things I didn't know is that you should give alpaca more twist than wool...it has a lot of similarities to silk. Alpaca generally has a long staple length and no crimp, wave but not crimp. In one part of the DVD, Judith MacKenzie makes a boucle yarn with the alpaca. I love boucle yarns and might try this with alpaca especially since it is a lot less expensive than mohair, the typical boucle fiber. Camel however is quite short in length. Judith MacKenzie recommends plying your camel singles. She said it is not so strong as a single. She recommends a good soapy wash, into hot, into cold, into hot, into cold. 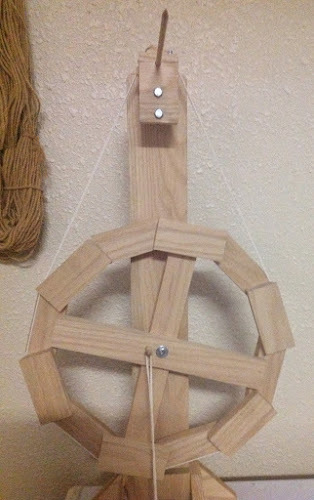 Now I know how to spin the alpaca in my closet. 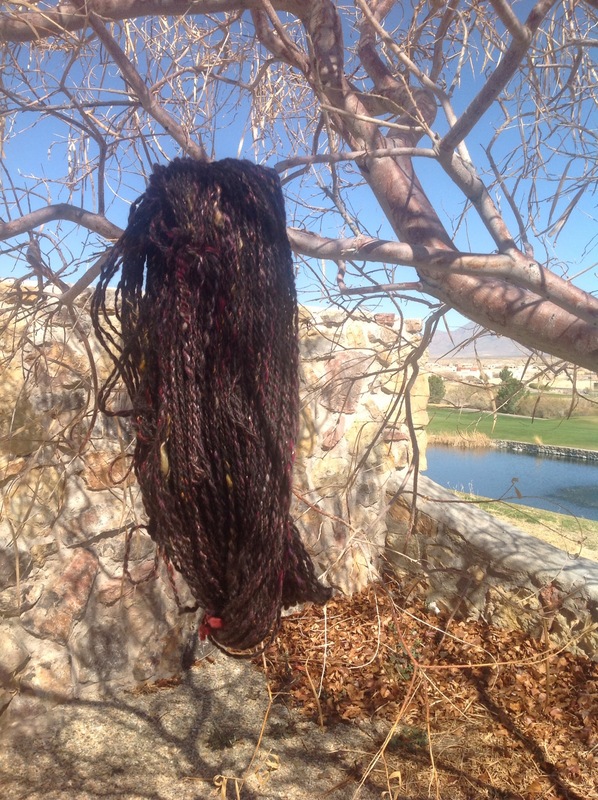 Here is some domestic fiber from sheep in Michigan. It is a blend of CVM and Llama. I may blend in a little silk. It is really easy to spin. 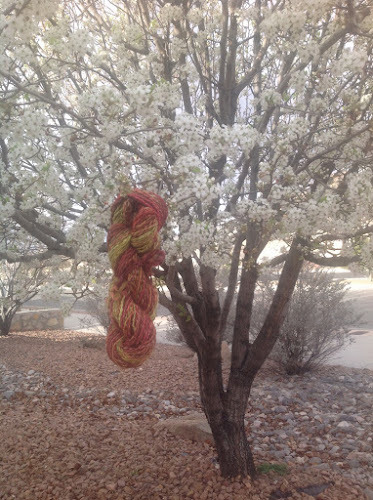 I was not thrilled with yesterday's photos..Below is one with the yarn in a beautiful flowering tree. 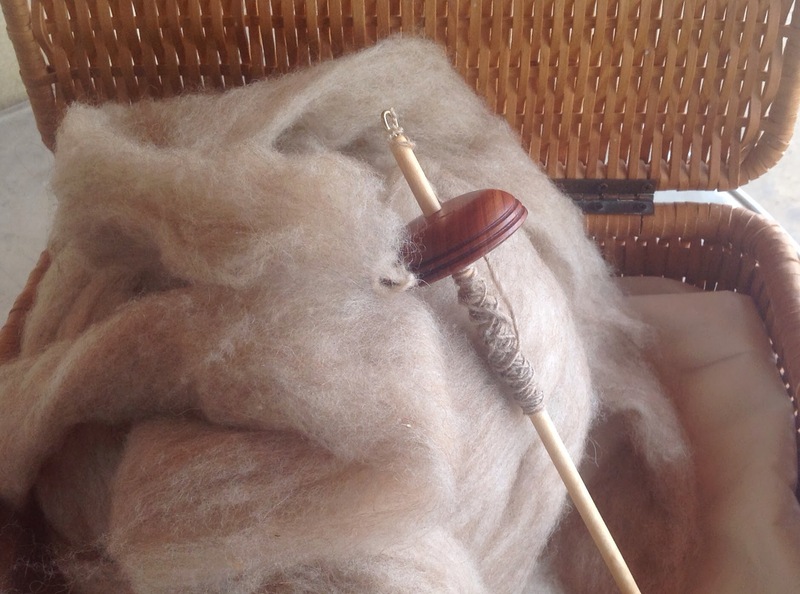 Currently I am watching a Judith Mackenzie DVD on spinning luxury fiber. I find the silk part very interesting. I think it would be a good fiber for NM. According to the TV show Knitty Gritty, it blocks well. I never knew this. 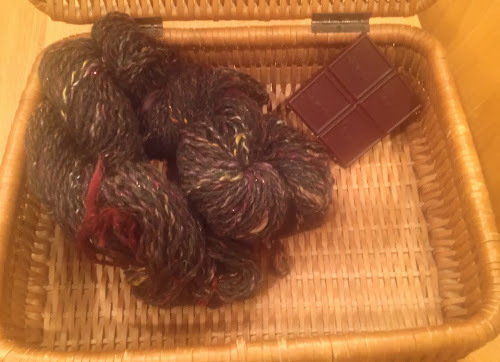 I find cotton does not hold the blocking as well as I would like... Next time I will try silk for a summer wrap.. Back to spinning. 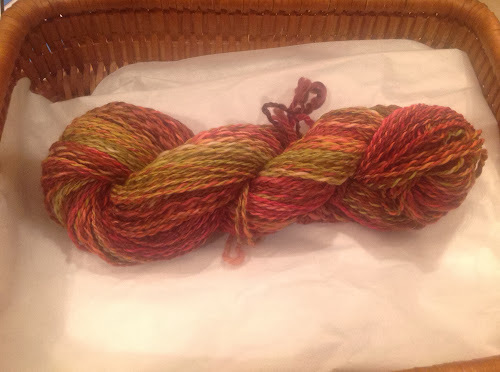 I have been trying to spin more domestic fiber. 6 ounces below. It is a very dark brown... Even darker than dark chocolate. I still love color. The merino below was a fun one. 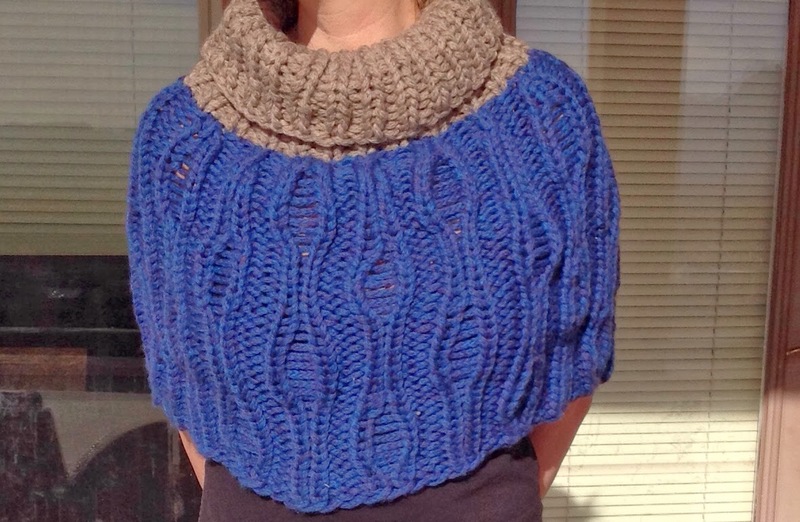 This is a fun and warm knit..... Not blocked yet but too excited to wait. It feels like wearing a warm hug.